Do you love excitement? Are you learning to read? Project X puts the fun and action into your first reading missions. Storming adventures full of cool gadgets and colourful 3D graphics. Do you like the sound of that? (We do.) You’ve probably heard of time travel. Now it’s time to check out micro-travel. Meet four kids who can shrink to micro-size as they explore the world around them. 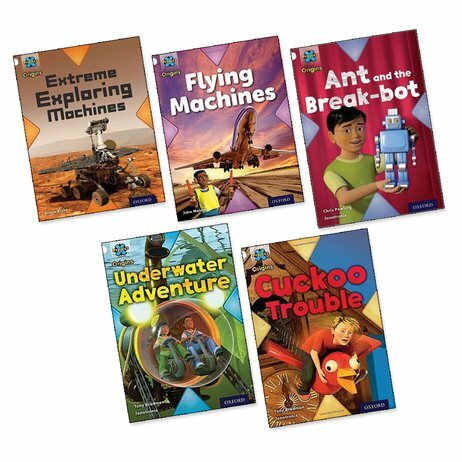 Each themed book pack kicks off a new adventure, with three stories and two linked fact books. Boost your pulse rate and your reading confidence.